Death of X is the very definition of a crossover spectacle, but certain aspects may prove to be highly disorienting for those not caught up on certain developments in recent years. This review is based off a volume that collects Death of X #1-4. You know, the funny thing about crossover miniseries such as Death of X and Inhumans vs. X-Men is that they probably wouldn’t have happened if not for the delicate situation involving Disney and Fox when it comes to film rights. Now, bear with me because this is relevant to the topic at hand. We all know that Disney distributes movies based on most Marvel properties, while Fox controls X-Men and Fantastic Four. The more intricate aspects are a discussion for another day, but, long story short, recent years have seen the publisher shift focus mainly to the properties Disney has on film rights to, with Inhumans pretty much becoming the “new mutants” (not to be confused with New Mutants, which is a different beast entirely) in the Marvel Universe. 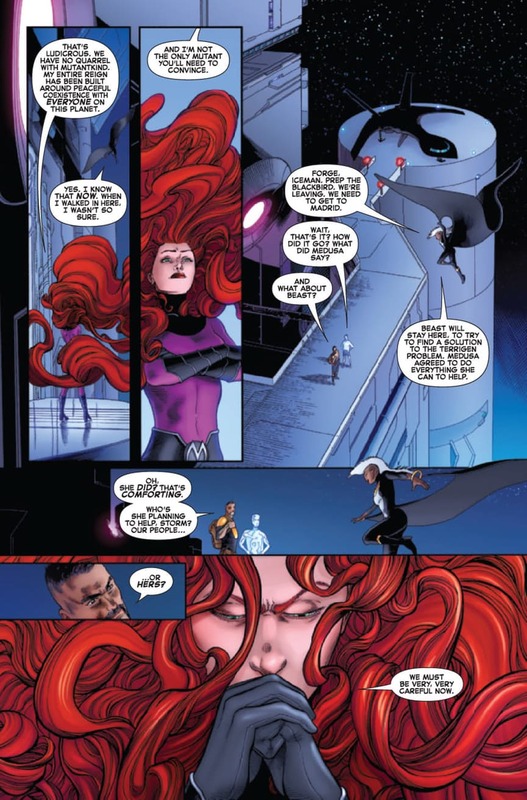 But, more recently, it seems like the House of Ideas may have called an audible of sorts now that the Inhumans have shifted from the proposed film slate to television, and the X-Men consistently sell comic books like hotcakes because, let’s face it, they’re arguably Marvel’s most interesting characters. As a result of this, Death of X has come into being. 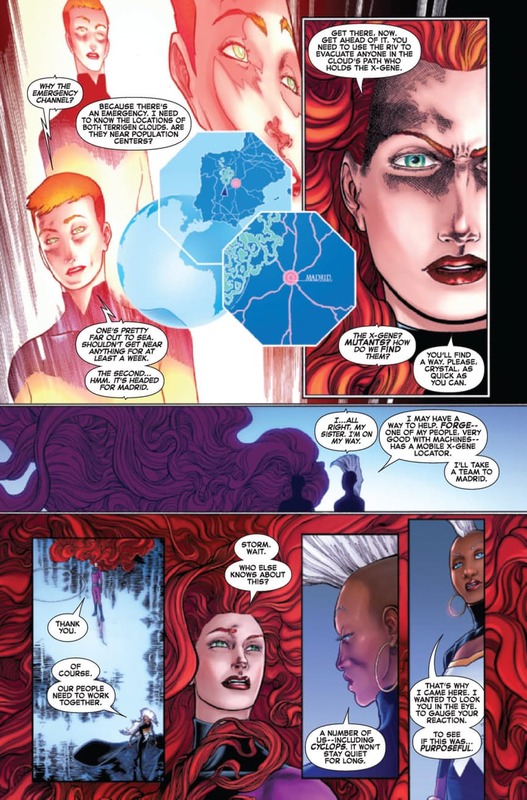 It’s quite hard to have established a plot device – the Terrigen Mist – that can turn humans into Inhumans and also kill mutants without putting these two unique factions on a collision course. Most fortunate for us, however, is that scripting duties were handled by Jeff Lemire and Charles Soule, both of whom have established themselves as some of the top names in the industry in recent years. Plus, it doesn’t hurt to have Soule involved given that he seems to have a hand in all things Inhuman these days; call it quality control. 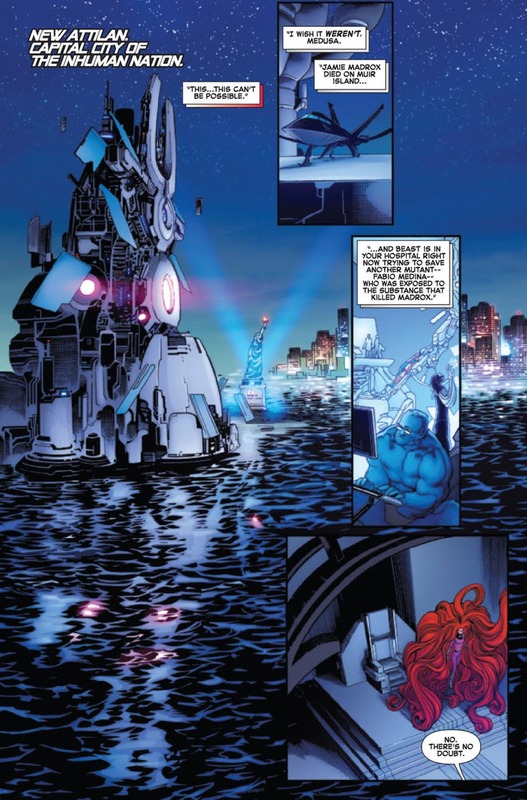 As for the artwork, Aaron Kuder manages a good chunk of penciling duties, with an assist from Javier Garron. For the most part, the transitions are pretty seamless here and the visuals are quite pleasing to the eye. Coincidentally enough, they vaguely remind me of Frank Quitely’s days on New X-Men. I’m not sure if I’d call it a detriment to the overall work, but new and lapsed readers may have a hard time acclimating to this story. To say there have been many liberties taken with the X-Men mythos in the past few years is an understatement: Folks have died, allegiances have shifted – it’s almost like following pro wrestling in a sense. I guess those who pick this up based on curiosity will just have to take Cyclops as they will. They may also find themselves hard pressed not to giggle whenever Goldballs’ name is spoken. 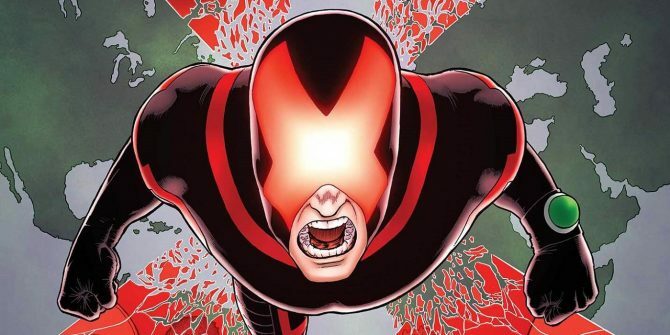 As for Cyclops, you could say he’s grown to be more comparable to Magneto in terms of ideology, much to the chagrin of longtime fans. Given that, he sees the Terrigen Mist as a declaration of war, thus setting the stage for the bulk of this particular tale. Oh yeah, he’s also feeling a little sick, if you want to call it that, so it doesn’t take a genius to figure out where this is going. Not surprisingly, there are those of varying opinions like Storm, for instance. The fact that this conflict can be examined from multiple perspectives makes it all the more riveting. 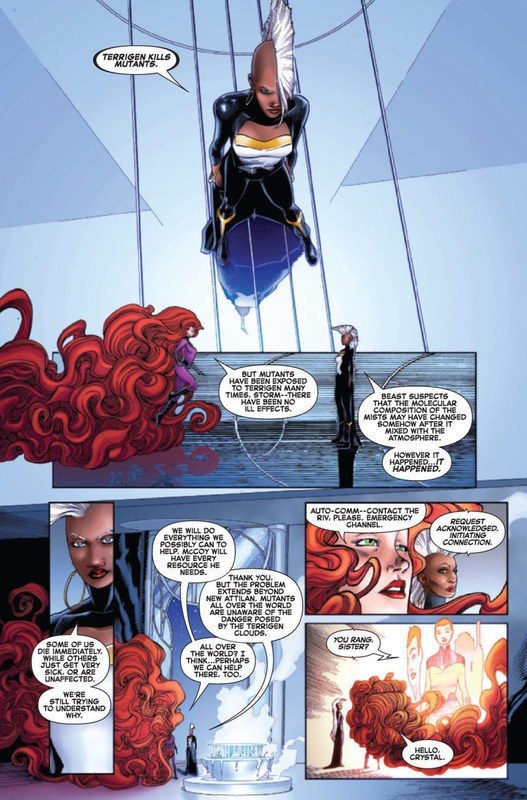 But, I would still say the three characters to keep your eyes affixed to throughout your reading experience are that of Medusa, Emma Frost and, of course, Cyclops because any scene involving them is nothing short of compelling. What doesn’t help matters is when you get someone like Downer, a recently emerged young Inhuman, who uses their powers without thinking. Granted, they had the best of intentions, but it does nothing to avoid igniting what’s a veritable powder keg. When you think about it, this volume contains many thought provoking analogies, which has become expected of X-Men stories over time. There’s honestly no way to talk about this book without getting into some spoilers, but as you probably figured already, Cyclops dies. I won’t get into specifics, but I will say the circumstances and consequences are much different than what occurred in Ultimatum. Seriously, just wait until you read the twist the writers came up with. Without a doubt, Emma Frost is now worthy of being mentioned in the same breath as John Kramer from the Saw films; cue Charlie Clouser’s score, say “game over” and fade to black. 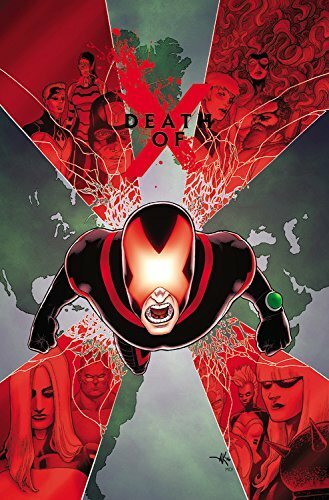 Overall, Death of X was a highly satisfying precursor to Inhumans vs. X-Men and should be considered required reading. Still, it’s recommended you somewhat familiarize yourself with Marvel’s recent happenings before cracking it open.